By Scott Gilfoid: In a press conference earlier today in Copenhagen, Denmark, Mikkel Kessler officially announced on Friday that he’s resuming his boxing career after being retired for 4 years, and Carl Froch appears to be very interested. Froch twice fought Kessler with them spitting at 1-1. The 38-year-old Kessler will be coming back to the super middleweight division to start fighting again. The location and the opponent for Kessler’s first fight of his comeback has yet to be announced. Former WBA/WBC super middleweight champion Kessler doesn’t figure to be facing anyone too right off the bat. He’ll likely start his comeback slowly the way most fighters do when returning to the ring after a long layoff. Froch says he might be tempted to face Kessler if he moves up to light heavyweight. But if Froch is willing to fight Kessler at 175, then why wouldn’t he fight a rematch with Andre Ward, who beat him in 2011? These are simple questions that boxing fans would like to know. Froch, 39, is just a little bit older than the 38-year-old Kessler, and both guys haven’t had a fight in the true sense since they faced each other. Kessler stopped fighting after losing to Froch by a 12 round decision in 2013. Kessler didn’t look like a shot fighter by any means at the time. He just looked like he didn’t have the same motivation to fight hard like he had in his best years. If Kessler has that motivation back, then he’s going to be a real nightmare for any fighter in the 168lb division, and that includes Froch if he decides to come out of his 3-year retirement. The 39-year-old Froch hasn’t fought since beating George Groves by an 8th round knockout on May 31, 2014. Froch hasn’t been retired as long as Kessler. However, you can make a VERY strong argument that Froch essentially retired after his narrow 12 round decision win over Kessler in their rematch in 2013. I mean, Froch only fought two more times after that against George Groves, who was little more an inexperienced fighter without the talent to do much. Groves still hasn’t won a world title in the 3 years that Froch has been retired. Froch stopped facing the best after his rematch with Kessler. 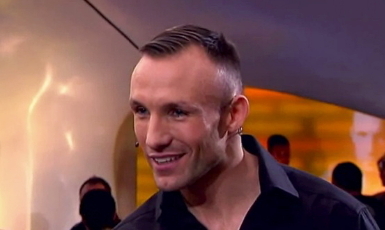 Mikkel Kessler has announced his return to boxing and will rejoin the super-middleweight division after spending nearly four years away from the ring. ”I’ve always said fighters should stay retired but I’ve got to be honest, this has really got me thinking!” said Froch to skysports.com about Kessler coming out of retirement. ”It is 1-1 of course and if anything is going to get me going again – it is a decider with Mikkel Kessler,” said Froch. Boy, Froch sure does seem like he’s name-dropping, doesn’t he? I wish I could believe that Froch is serious about possibly coming out of retirement to fight Kessler, but I’ve seen Froch name drop in the past middleweight champion Gennady “GGG” Golovkin’s name without fighting him. I just think that Froch is doing the same old number to get attention from the boxing fans and media, but then not getting back into the ring to resume his career. It’s too bad because Froch could make a TON of sweet cash if he put in some effort and took a risk. Yeah, Froch will probably look rusty and slow against Kessler or Golovkin, but heck, he was never fast to begin with and definitely never a sharp fighter. In his prime, Froch was one of those guys that would miss badly much of the time until eventually landing a big shot to get a knockout. Who can forget how clumsy and awkward Froch looked in fighting Kessler in the rematch. There was one instance where Froch attempted to land a big power shot on Kessler, and he missed so badly that he swung completely around. I couldn’t believe I was watching this from a world champion. I think I saw the Froch-Kessler II fight on HBO that night, and I remember Froch being roundly criticized when he spun around completely after missing a shot. I think that was the last time I saw Froch on U.S television. Froch’s mismatches against Groves didn’t make it on U.S television, as far as I can tell. “Speed is the first thing that goes, so someone like Joe Calzaghe won’t be making a comeback, but because Kessler was never quick and certainly didn’t have fast hands, maybe he has a chance,” said Froch about Kessler. Of course, Kessler has a great chance of doing well if matches against the right opponents. I think Kessler beats current super middleweight champions James DeGale and Tyron Zeuge. I don’t think Kessler would beat Callum Smith, Anthony Dirrell or Gilberto Ramirez. Those guy s would be bad style match-ups for Kessler. Kessler’s technical ability would create fits for DeGale and Zeuge. I can’t see either of those fighters beating him. Froch would be an ideal opponent for Kessler to fight after he gets a couple of wins under his belt. I don’t think Froch would have the motivation or the patience to come back and put some easy tune-up fights under his belt before facing Kessler in a rematch. I get the impression that Froch is too preoccupied with his legacy from beating guys like Groves and Yusaf Mack, which sadly were 2 of the names that Froch finished out his career fighting. To be honest, Froch’s boxing legacy is kind of shaky in my opinion. He won a controversial 12 round split decision over Andre Dirrell in his own hometown of Nottingham in 2009, and he was soundly beaten by Andre Ward in 2011. Froch never even attempted to avenge the loss. Froch was on the verge of losing to Jermain Taylor in 2009, when he stopped him in the 12th. Kelly Pavlik did a much better job beating Taylor than Froch did. Froch’s other best wins of his career were against Lucian Bute, an unmotivated looking Kessler, Arthur Abraham and Jean Pascal. Froch never fought Joe Calzaghe and Adonis Stevenson. Kessler would probably take a third fight against Froch in a second if it were offered to him. It’s just that it probably won’t ever be offered. A lot of boxing fans would still be interested in seeing a third fight between Froch and Kessler. Their both slightly younger than Floyd Mayweather Jr., and he’s about to make a comeback in a big money fight against Conor McGreogr. If Mayweather can do it, then certainly Froch and Kessler can do it. I could see a fight between them selling out Wembley Stadium in London. It would be a huge fight if Kessler can win a couple of easy fights before then.